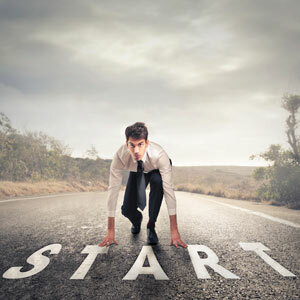 Is it the right time to start your own business? It’s scary to hear that four out of every five new businesses fail. However, you shouldn’t let that stop you from taking the leap and enjoying the rewards that can only come from being your own boss. By doing some research about the best time to start your own business you will maximize your chance of success. If you haven’t written out a comprehensive business plan, you should delay launching your business until you do. Think of it as a roadmap to corporate success. You wouldn’t set out on a road trip without some directions, so why would you enter the business world without a similar plan? A solid business plan will define your objectives, give you some direction towards achieving them, and help you manage any speed bumps you encounter along the way. A clear business plan will also impress prospective investors. No one will risk their own money unless they’re confident your enterprise can turn a profit and that you have what it takes to succeed. This vital document is one of the key components you need to create a professional image. A lack of capital is the number one reason that small businesses fail, so you should never launch a company until you’ve secured those vital funds. It’s much better to overestimate your expenses and have more money than you really need that get into the red and ultimately fold. If you plan to take out a business loan, you need to be confident you can make the repayments. If your family and friends are financially secure, they may like to invest in your business venture. Venture-capital firms may also be willing to invest in your company in exchange for a percentage of the profits. Small business associations can help budding entrepreneurs get in touch with investment groups and secure bank loans. Your target market will determine whether your business will sink or swim, so it’s important to understand them before you launch your business. Your local library or small business association can help you identify key characteristics of your target market, including its spending habits and customer preferences. Your business is destined to fail if its products or services are too expensive for your target market, or unappealing to them. Your research can also unearth consumption trends, which will give you a better idea whether the market’s waiting for a business like yours. You may also like to conduct independent market research. Getting together a group of impartial members of the public can give you valuable insight before your business launch. If you’re still wondering whether it’s the right time to launch your business, a psychic can give you the reassurance you need. You might book a psychic chat online to get the answers you seek, or learn what a tarot card reader sees in your future. Their advice can give you the confidence to commit to your business launch or delay until you’re more likely to enjoy good fortune. The statistics are sobering, but researching the best time to start your own business can help you beat the odds.